... a list of things to do in NYC to ensure you have a good time—its energy will whisk you off your feet as soon as you arrive. But we do have a word of advice so you can make the most of the Big Apple’s frenetic personality: stay at one of our boutique hotels in NYC and you’ll experience the city’s artistic creativity firsthand; you’ll get insider tips from a knowledgeable neighborhood concierge; and you’ll have a luxurious room in which to recharge yourself before the next day of exploration starts. 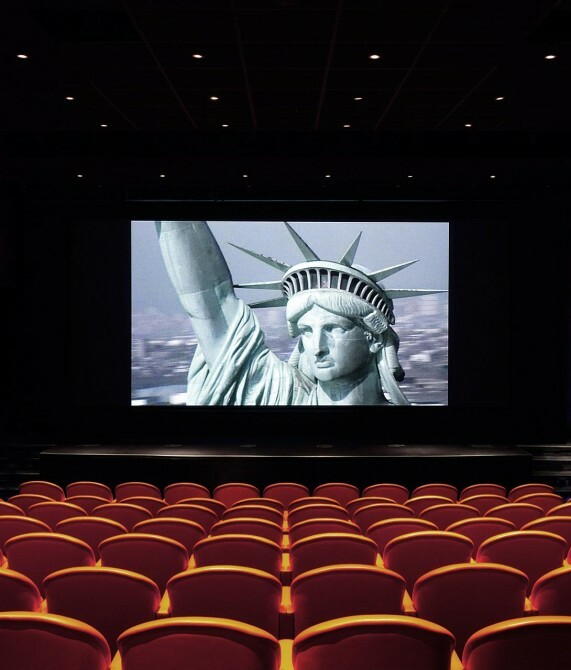 On the subject of cinema, how many movies have you seen that start with a dramatic shot of the New York skyline? Out of all the rooftop bars NYC has to offer, Hôtel Americano’s impresses lovers of Champagne, cocktails, and sky-high swimming in equal measure—and is complete with impressive views over Manhattan. The spirit of New York lies in its ambition. 11 Howard plays host to a co-working space that facilitates collective thinking and fruitful collaborations, while artworks from local talents and sweeping views of the New York skyline serve to inspire. Some things are just more romantic in a city that sparkles. 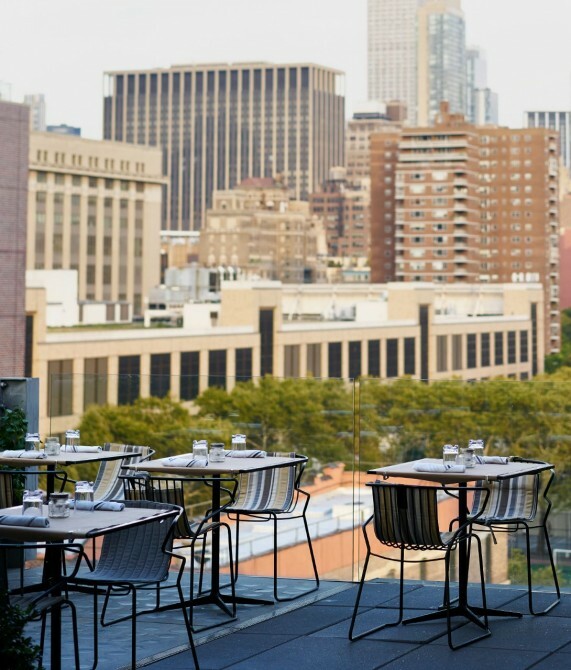 Where better than Manhattan then to enjoy a private candlelight dinner on a luxurious terrace while the moonlight illuminates the NYC skyline in front of you. 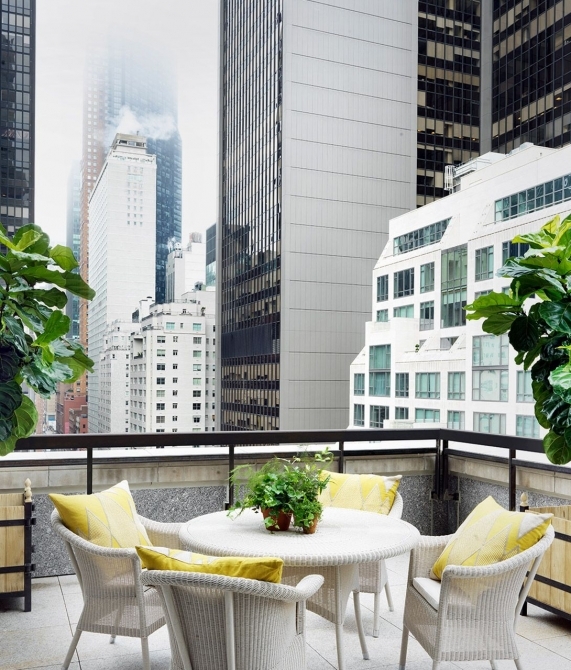 Romance in Midtown reaches its peak at The Whitby, which offers many guestrooms with a private terrace or balcony (a real rarity in New York!) and endless chances for those Romeo and Juliet moments. Getting a table at one of the best restaurants in NYC can be a challenge. The Ludlow Hotel’s Dirty French restaurant advises reservations one month in advance, but you know when you’ll be staying there, right? Expect cocktails in the courtyard, a cozy fireplace, and excellent French cuisine. The art scene in NYC doesn’t stop when you sleep. 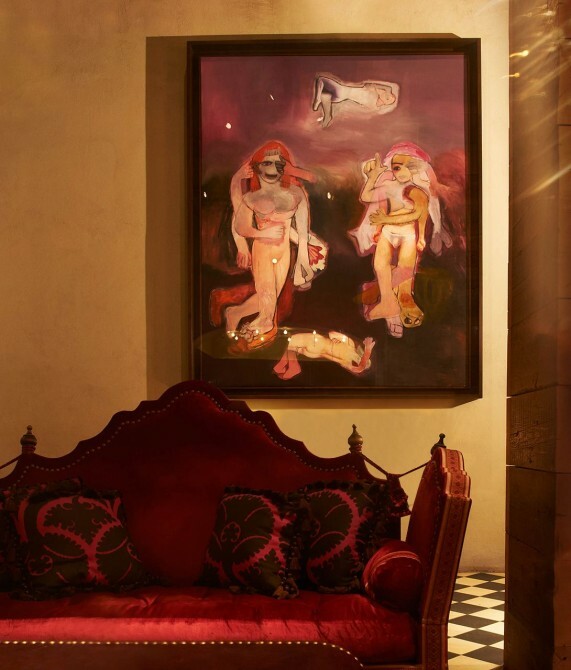 Especially when you’re staying at Gramercy Park Hotel, which houses pieces by Andy Warhol, Jean-Michel Basquiat, Damien Hirst, Richard Prince, and other greats. Sleep in this art gallery/hotel and witness a collection of constantly updated, world-class work. 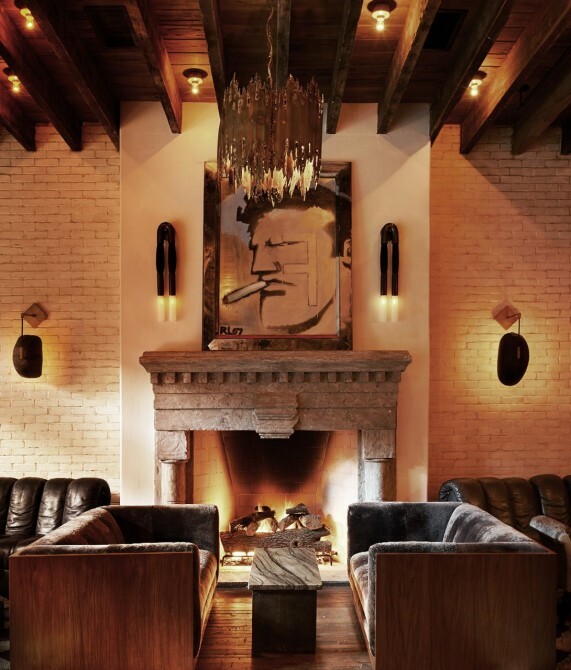 Boutique hotels in NYC are hotspots for the Hollywood types. 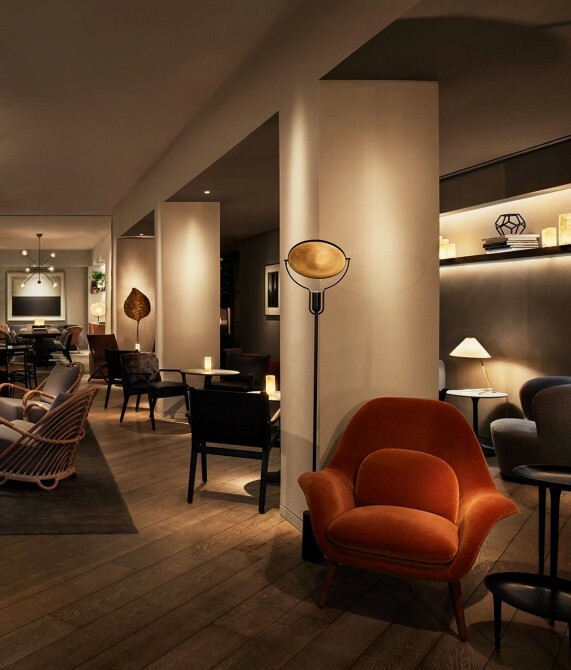 The chic Crosby Street Hotel has a film club and an exclusive cinema, promising movie premiers, memorable nights, and the occasional star-dusted shoulder brush.